Decisions, Decisions … Concrete Paving or Asphalt Paving? 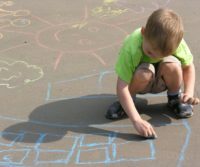 Many people believe that cement and asphalt can be used interchangeably. However, there are stark differences in the properties and composition of these building materials. If you are deciding between concrete paving or asphalt paving for your next driveway or parking lot project you should read on to learn more. What’s the Better Choice- Concrete Paving or Asphalt Paving? Concrete is used for a variety of construction and building projects. 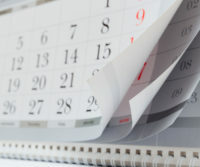 Setting time is typically about three to four days, with complete curing ending in several months. Concrete has a high compressive strength so it is a go-to material for building construction. Concrete is a bit less flexible than asphalt. Concrete requires a brand new slab if you get a crack. Asphalt has a lower upkeep cost and quicker construction time than concrete. Asphalt can be walked on in about 24 hours after it’s been applied and driven on in three to four days. In general, asphalt is a bit easier to maintain. Both asphalt and concrete pavements are designed for a long life with regular maintenance and both can be used to create quality pavements. Flexibility to obtain a smooth surface. Renovation and fixing surface cracks/issues are simple and straightforward. If you have been wondering whether to get concrete paving or asphalt paving done, choose the experts in paving with A&M. We provide services to both commercial and residential clients throughout Halethrope, Maryland and surrounding counties. Contact us for asphalt paving in Halethrope, MD today. Choose A&M Paving for Driveway Paving in Pasadena, MD! When deciding upon a material to pave your driveway, asphalt tends to come up first in conversation. 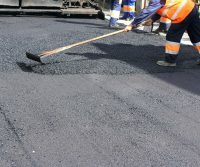 Asphalt is a black, sticky and highly viscous petroleum product that is mixed with aggregate materials (stone, sand, and gravel) to make asphalt concrete, which is commonly used for road construction. The material is known for its durability and strength and because of these reasons, it’s considered as the best option for most paved surfaces. Get your asphalt driveway paving in Pasadena, MD done with the paving experts at A&M Asphalt Paving. Asphalt provides many significant benefits. 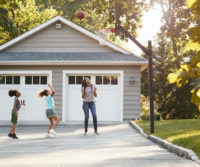 The following are just a few of these benefits that you can experience when you get your driveway paved with asphalt. Durability – Asphalt paving is quite resilient and can withstand harsh weather conditions, large loads and frequent traffic use. If the asphalt is properly sealed and cared for, an asphalt driveway can last up to three decades. If you want a driveway that can stand up to humans and nature, choose an asphalt driveway. 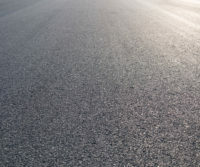 Easy maintenance – Asphalt is an easy surface to make repairs and maintain in comparison to other surfaces. Cracks and holes can be easily repaired without too much interruption. Aesthetics – Asphalt provides plenty of curb appeal. An inviting and appealing driveway provides a focal point for visitors who are approaching your home and adds value to your entire property. Ease of installation – Asphalt driveways are quick to install, can be completed in less than two days and only take two more days to set. Property owners will benefit because in a time crunch, an asphalt driveway can be completed fast. Why Should You Choose A&M for Driveway Paving in Pasadena, MD? At A&M Asphalt Paving, we work with both homeowners and commercial property owners to provide the highest quality materials and skills for our paving, seal-coating and pavement repair services. Our experienced professionals will handle your project from start to finish with a high level of craftsmanship and attention to detail for superb results. Your satisfaction is our top priority. If you are in need of asphalt driveway paving in Pasadena, MD, choose A&M Asphalt Paving. We have been providing trustworthy service to homeowners for many years. We will handle your driveway project and ensure that it is on time and on budget, regardless of the size. Contact us today for a free estimate on your next driveway paving job! Homeowners- Choose A&M for Driveway Paving in Severna Park MD! A paved asphalt driveway is an excellent addition to any home or business and is an invaluable asset that significantly boosts the value of any property. Of course, there are many different types of paved driveways. Having an asphalt driveway is a popular option for many homeowners. Do you live in Severna Park, MD? Here are just a few of the reasons why you should consider us for driveway paving in Severna Park MD. Why Asphalt for Your Driveway? Asphalt driveways are highly durable and they are less likely to crack over an extended period of time. Seal coating is an additional service we offer. When you choose to sealcoat your asphalt driveway you will be maintaining the integrity and durability of your asphalt. Asphalt seal coating is a low-cost maintenance solution that will ensure your asphalt driveway will last for decades. What Time of Year is Best for Asphalt Driveway Paving? You might be wondering when you should tackle this driveway paving project. The best time of the year to pave an asphalt driveway is between spring and fall. The temperatures during the winter are too cold. When it is too cold it can make the process more difficult to complete. Warmer temperatures allow for the sealant to bond with your driveway more easily and enables your driveway to last longer without any damage. 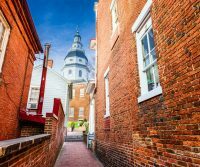 A&M is fully licensed and insured by the state of Maryland. Whether you need patches, seal coating, or a brand new driveway, we guarantee that you will be satisfied with our work. We have over three decades of experience and no job is too big or too small for our crew of professionals. Our crew is friendly and ready to complete the job in a timely and efficient manner. High-quality work and happy clients are our top priorities. If you are in the market for a driveway paving company in Severna Park MD, then call A&M. Choosing a paving or repair company is an important decision. With A&M your decision doesn’t have to be hard, we understand the value of completing a new driveway and the importance of keeping a schedule. If you have been wondering how you will get a high quality job that is finished on-time, don’t wait any longer. Contact A&M today to have your new driveway just in time for summer. Choose A&M Paving for more than just driveway paving in Severna Park MD. We also provide driveway and parking lot patching, seal coating and resurfacing services. Contact us for all of your paving needs. We look forward to speaking with you. Does your driveway or parking lot look its best? We understand that the exterior of your property is important to both businesses and homeowners. Residential asphalt paving increases curb appeal and ensures that driveways stay looking best. Commercial asphalt paving ensures that your property stays durable and sage for your customers. If you are still deciding on completing asphalt paving, then read on to learn the top 5 benefits of asphalt paving. Perpetual pavement. Asphalt paving is durable and can last forever. Maintenance is a fast process so you can go about your day, come home and see a fixed driveway. Smooth surface. Asphalt is a smooth surface to drive on and give vehicles an easier ride. When motor vehicles travel on it they won’t damage the pavement. Faster completion. Your job can be completed faster with asphalt paving, making asphalt ideal for commercial and heavy trafficked areas. Work can be done during non-business hours, usually at night. Once the pavement is cool, it’s ready to go. Low cost and weather resistant. Asphalt allows for quick completion times, quick maintenance times and a low cost for materials. Therefore it makes asphalt paving a very economical option. Asphalt is also weather resistant and can be designed to suit specific situations, like semi-trucks and certain climates. Safety. Asphalt’s smooth surface allows vehicles and pedestrians to drive and walk safely. We are committed to providing the best, most economical solution for home and business owners who need their driveways, roads or lots paved. In addition to asphalt paving, we also rip up damaged pavement, lay new asphalt, resurface driveways and parking lots and patch asphalt paving currently on your property. We also provide the highest quality asphalt seal coating in the region. For those looking for asphalt paving and seal coating, get all of your paving needs taken care of with A&M Asphalt Paving. Whether your project is a narrow driveway or a large commercial loading zone or parking lot, we’ve got you covered. We can handle any size project efficiently with our professional, hard-working crew. We are dedicated to superior road quality and the highest customer service. If you have an asphalt paving need, then contact A&M. We offer the best solutions and give you peace of mind. What is the Best Time of Year for Driveway Paving? Driveway paving is a necessary part of building maintenance. However, most homeowners are not are not aware of the best time of year for driveway paving. If you have cracks or holes in your driveway, you should think about calling A&M Asphalt Paving. We understand the best time of year for driveway paving and have the skills to complete the job. Driveway paving has many benefits and it is important to know the best time of year for driveway paving so you can schedule your appointment at the right time. Has it been a few years since you’ve performed driveway maintenance? If yes, then it may be time to consider getting your driveway paved or sealed. Driveway paving might seem unnecessary to many, but there are some important benefits to this service. Driveway paving maintains the quality of your driveway. It will preserve its value for years to come. When you pave your driveway, you will be improving its appearance, preventing staining, and lengthening its lifespan. 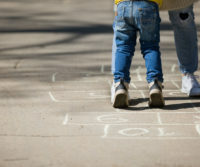 An add-on that many homeowners complete is driveway seal coating. Seal coating can add additional protection to your driveway and prevent those nasty cracks from ruining your concrete or asphalt driveway. When is the Best Time of Year for Driveway Paving? Plan on scheduling driveway paving anytime from spring through fall. This is going to be the best time of year for driveway paving. This period of the year is ideal for driveway paving because the temperatures are warm enough for your driveway and sealant to bond. Whether you choose a concrete or asphalt driveway, you should think about completing your driveway paving some time between spring and fall. To help keep your driveway preserved, it is important to re-pave every two to five years depending on wear and tear. Why Should I Choose A&M for Driveway Paving? A&M Asphalt Paving provides the best driveway paving in Annapolis to both commercial and residential clients. 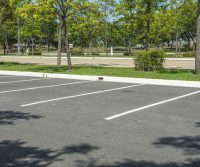 We offer an extensive list of parking lot and driveway maintenance services. Our services include seal coating, asphalt construction and resurfacing, complete driveway rip-out, snow removal, and more. If you are in need of any of these services, give us a call today. If your home or business is in need of driveway paving in Annapolis, contact A&M for more information. We will provide you with the highest level of customer service and a driveway you can be proud of. Contact us today for a free consultation. Get Your Asphalt Paving in Arnold MD Done with A&M Today! With over 30 years of experience and expertise in the asphalt paving business, A&M is the best for asphalt paving in Arnold MD and surrounding counties. Customers in Arnold, MD can rest assured they are receiving trustworthy, friendly, and hardworking experts to handle any of your paving jobs. We offer a number of services to our customers, including a free estimate. 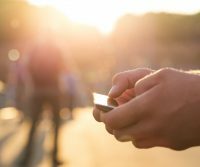 What Services Do A&M Offer? A&M completes a variety of paving jobs. 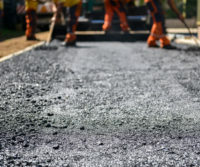 Whether you need a rip out, replacement, seal coat, or patch job, A&M Paving provides asphalt paving in Arnold, MD and its surrounding areas. For a complete list of areas we service click here. Take advantage of our knowledgeable & dedicated staff and receive asphalt paving in Arnold MD. We also provide winter snow removal and professional seal coating to homeowners and businesses. Get Asphalt Paving and Seal Coating in Arnold MD Today! We don’t just limit ourselves to home and driveway projects. If you have a commercial business, choose A&M to complete parking lot paving and seal coating. With over 30 years in the business, A&M Asphalt Paving has earned a reputation for fairness, dedication, professionalism, and reliability in the asphalt paving industry. We provide a variety of services to both consumer and commercial clients. Our company holds all the appropriate licenses and is an insured paving company in Maryland. Our services are not just limited to the Arnold, MD area. We also service the Baltimore metropolitan community and many of the surrounding counties. If you are looking for asphalt paving in Arnold MD, look no further than A&M Asphalt Paving. Contact us to receive a free estimate today. Choose the company that is dedicated to its clients and projects and has a deep history in the Baltimore- Maryland community. Choose A&M for your next asphalt paving project. Are You Looking for Asphalt Paving in Annapolis MD? Call A&M Paving! Are you in need of asphalt paving in Annapolis MD? Choose the best asphalt pavers to pave or repair your driveway or parking lot. Keep your asphalt maintained with our asphalt paving services in Annapolis Maryland. Why Do You Need Asphalt Paving in Annapolis MD? Asphalt is a material that lasts a long time. But, as people walk and drive over it, your asphalt might experience general wear and tear, so you might need asphalt paving in Annapolis MD. Asphalt can ensure that your driveway is smooth and durable so that it lasts a long time. A&M Paving offers great deals to people who are interested in asphalt paving in Annapolis MD. We can re-surface asphalt and perform repairs to your existing asphalt if needed. If necessary, we have the equipment and the expertise to rip out your entire driveway and start new. When you work with us, you will receive excellent customer service. We can work with commercial organizations as well as residential customers, which provides more options for people searching for asphalt paving in Annapolis MD. Customers can also receive seal coating services for their driveway or lot, in addition to asphalt paving. We can also remove snow with our professional team and machines at your commercial property during the winter months. Choose us to maintain your asphalt. Getting asphalt paving in Annapolis MD doesn’t have to be hard. With A&M Paving, you’ll be choosing the best people for your next asphalt paving in Annapolis MD job. Contact us today for a free estimate for asphalt paving in Annapolis MD. Looking for Asphalt Paving in Bowie MD? Choose A&M Asphalt Paving. Do you need asphalt paving in Bowie MD? Choose A&M Asphalt Paving, we have over 30 years in the business. Your asphalt paving job will be completed with care, diligence, professionalism, and efficiency. Whether your looking for residential or commercial asphalt paving, you will be met with a community and excellent service with A&M. Why A&M for Asphalt Paving in Bowie MD? We provide a wide variety of services to the residents of Bowie, Maryland. We have also been the asphalt paving experts for over 30 years. We are fully licensed and have roots in the Bowie area. New customers are assured to have a stress-free project because we are not only professional but also affordable, reliable, friendly, and focused on our customers’ satisfaction. A&M calls Bowie, MD home. However, we also service the Baltimore-metropolitan area, including Anne Arundel and Howard Counties. A&M offers free estimates to all potential clients. Complete your asphalt paving project with A&M Asphalt Paving. If you are looking for affordable and reliable asphalt paving in Bowie MD, choose us for all of your asphalt servicing needs. With over 30 years in the business, we can get your asphalt paving in Bowie MD job done quickly and correctly! Contact A&M Asphalt Paving for asphalt paving in Bowie MD.